The weather is unbelievably beautiful for this time of year (everywhere… I mean New Yorkers were wearing shorts last week) and even though Mr. Groundhog’s shadow said we will be having six more weeks of winter… My mind and my wardrobe are quickly inching toward spring. I’m ready to paint the toes a bright spring color to show off in a pair of amazing wedges, buy a new pair of sunnies, and it is certainly time for a handbag change. Here are a few spring accessory trends fashionistas around the country are already indulging in… time to catch up! 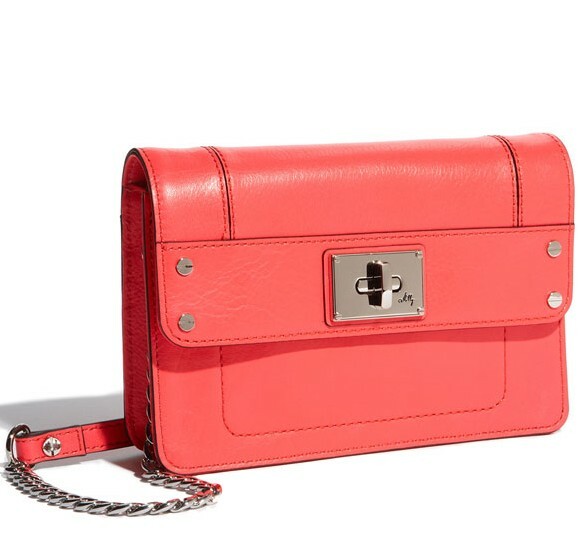 Handbags–Bright? Yes Bold? Yes Fun? Absolutely! 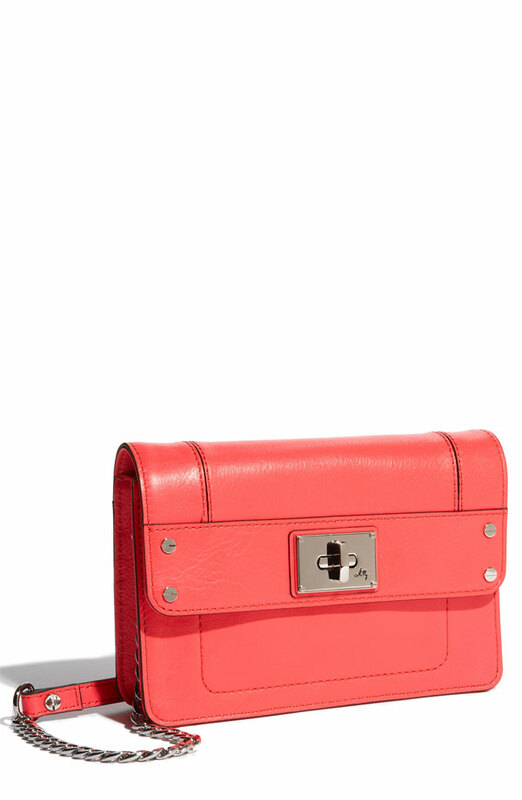 This Milly ‘Mini’ Nappa Leather Clutch reminds me of the pretty little box-shaped purses seen on the runway at Valentino and are a must-have. 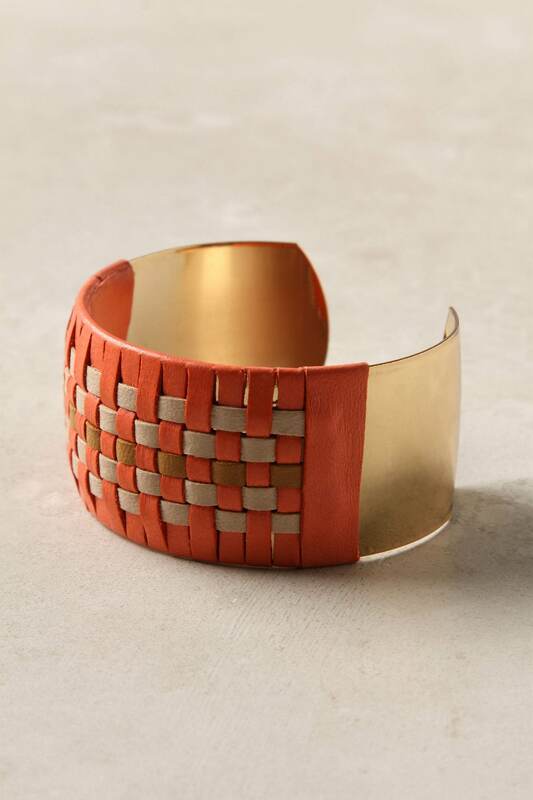 Perfect for a lunch date, night out, or for adding a pop of color to your work wardrobe. 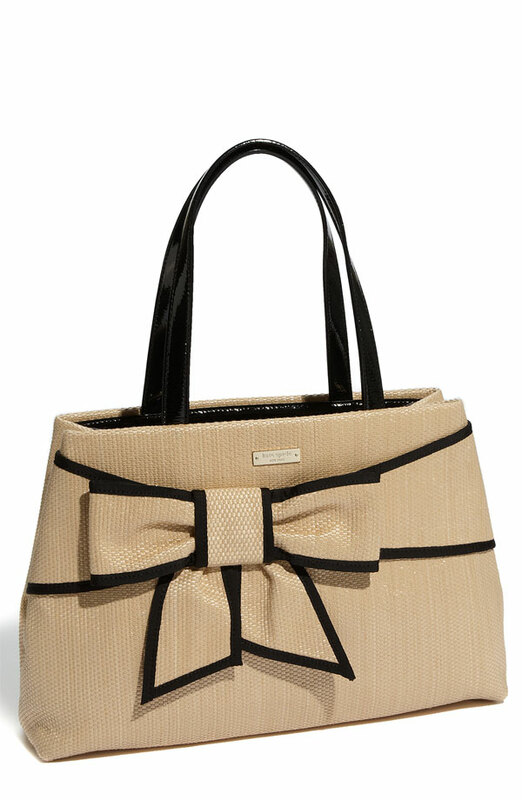 The basket/wicker/straw look (whichever you prefer) is also a major trend for spring. 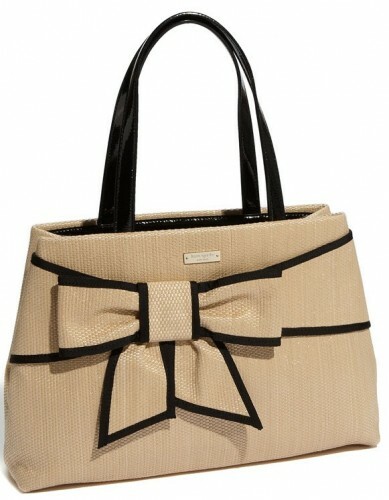 Kate Spade came out with the perfect ladylike version, bow and all—clean and classic. As I shared in one of my very first posts for Style Files, I am obsessed with sunglasses… like I buy a pair every 2 months or so and not because I lose them. I am happy to say that designers also appeared to be obsessed with them on the spring runways. 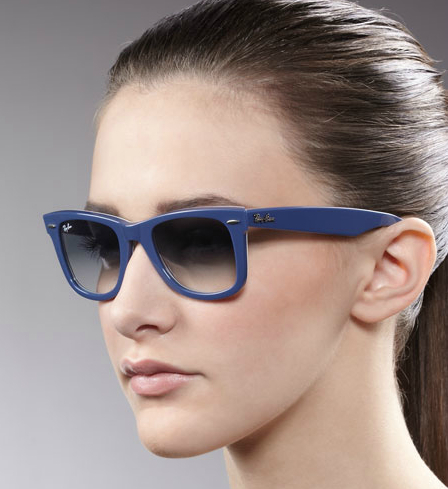 Ray-Ban Wayfarers have become a standard in stylish eyewear, there is no doubt about it, but these blue ones take it to the next level of cool. Plus these iconic sunnies give an “I’m not trying too hard” nod to the retro trends seen at many of the Spring RTW shows (i.e. Prada). Tribal and ethnic inspired looks are not exactly the newest trend to hit the spring season, but I think there are still some subtle ways this trend can be done without seeming too trend conscience. 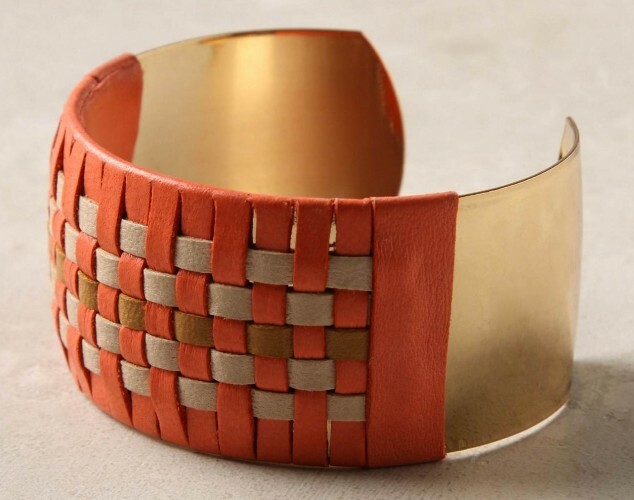 This Coral Thatched Cuff walks the line between crafty, and ethnic/tribal with the hand-woven sheepskin strands. 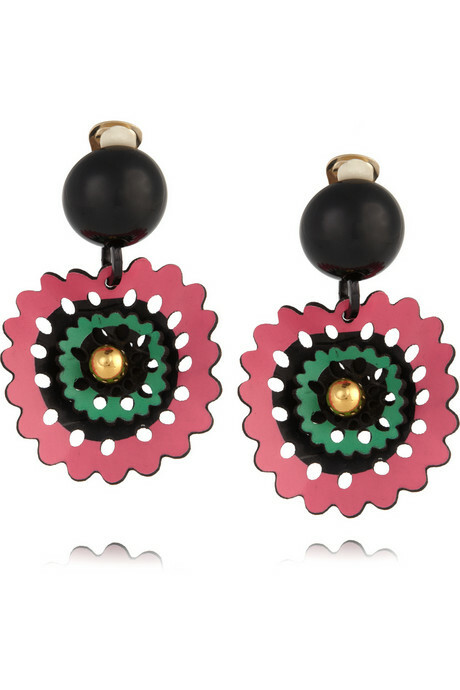 The colors are beautiful but not too bold and will look great with jeans, a tee, and your favorite flats. I am very excited about what Harper’s Bazaar is calling “The Return of the Earring.” I am not huge on wearing lots of jewelry: earrings, bracelets, necklaces, and all at the same time. 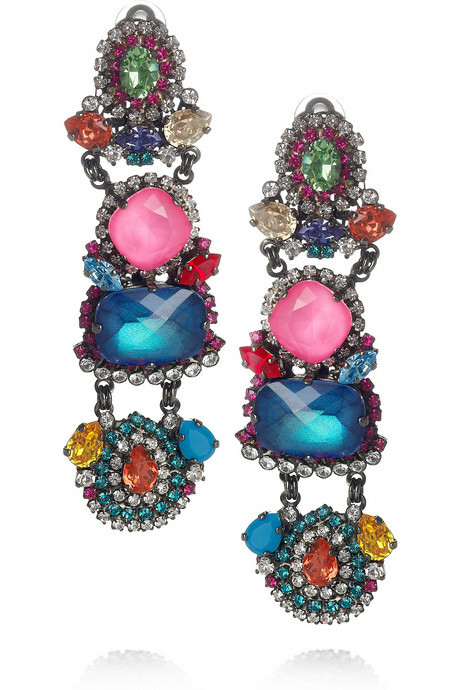 However, I am a lover of statement earrings and now all of my favorite pairs are right on trend. There really is no way to go wrong here. Madonna’s HalfTime Performance Love or Like?